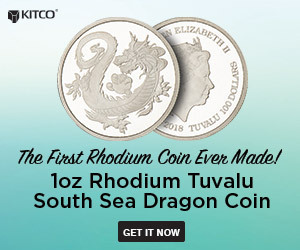 (Kitco News) - Analysts are optimistic when it comes to Chinese gold demand for the Lunar New Year, stating that they expect to see strong growth despite higher gold prices. China is already seeing an improvement in gold demand ahead of the Lunar celebrations, which will usher in the year of the Dog on Feb. 16. The occasion has historically been a key gold-buying opportunity for consumers in a country that remains the largest gold-consuming nation, followed by India. 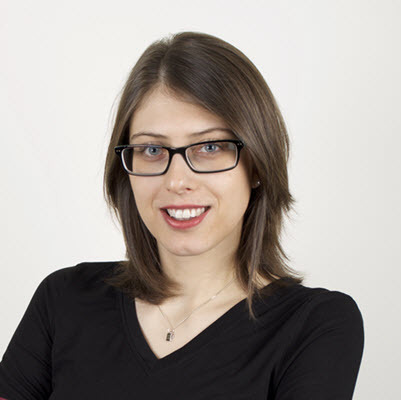 Capital Economics analyst Simona Gambarini also projects solid demand for the Lunar New Year. “Based on the local premiums to international gold prices, it appears that demand ahead of the Chinese New Year has been relatively strong,” Gambarini said in an email. But, she warned that she is not as positive when it comes to 2018 as a whole, adding that Capital Economics expects to see a slight drop during the year. “First, we expect the renminbi to appreciate this year, which should reassure investors who had previously sought the safety of gold. Second, jewelry demand for gold has been on a downward trend since 2013 . . . we don’t think that this is the beginning of an upward trend,” Gambarini pointed out. “Third, the PBOC [People's Bank of China] hasn’t added any gold to its official reserves since October 2016. With gold prices now higher, the value of the bank’s gold reserves has also gone up, reducing the incentive to buy more gold,” she noted. Those projecting an increase in demand are keeping an eye on both seasonal factors as well as changes in regulation. “Certainly, previous restrictions on quotas for importing gold [have] weighed on the sector and are slow lifting,” Hynes said. Also, increasing housing pressures are likely to benefit gold, both in the investment and retail spaces. Gold prices rose in January to 1.5-year highs on the back of a weaker U.S. dollar. Since then, gold has retreated, but still remains firmly above the psychological level of $1,300 an ounce. Analysts say that higher prices are unlikely to impact Chinese consumers during the Lunar New Year, but warned that volumes might be affected. Turbulence within the Chinese equity space is also expected to draw investors, despite rising gold prices. 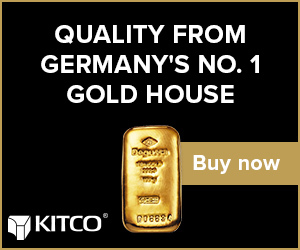 “Higher gold prices are not expected to meaningfully dampen demand during [the] Chinese New Year, which will be buoyed by the recent volatility in Chinese equities, with the Shanghai Composite Index now down over 12% from its recent highs,” the chief economist at ABC Bullion, Jordan Eliseo, said in an email to Kitco News. China remains the world’s largest bar and coin market, with 306.4 metric tons of investment in 2017, according to the World Gold Council’s latest Gold Demand Trends report. “Annual demand was 8% higher compared to 2016 and comfortably above its five-year average of 284.8t,” the WGC said. The jewelry side of the equation still remains weaker than the investment side, said Hynes. “This is in part because of the anti-corruption campaign that has been undertaken during the past few years, which impacted demand there. It certainly been more on the investment side that we’ve seen a bit of growth,” he explained. But, the WGC remains confident in the jewelry demand, estimating an uptick in the near future. “The outlook for Chinese jewellery demand is, we believe, quite positive. Retailers continue to better meet consumers’ changing needs and sentiment is lifted by the supportive economic environment,” the WGC report said. In 2017, China saw a 3% rise in annual jewelry demand, which marked the first increase since 2013. “The trend for lower-weight, better designed, higher-margin ‘premium’ gold jewelry products continues to gather momentum,” the WGC added.